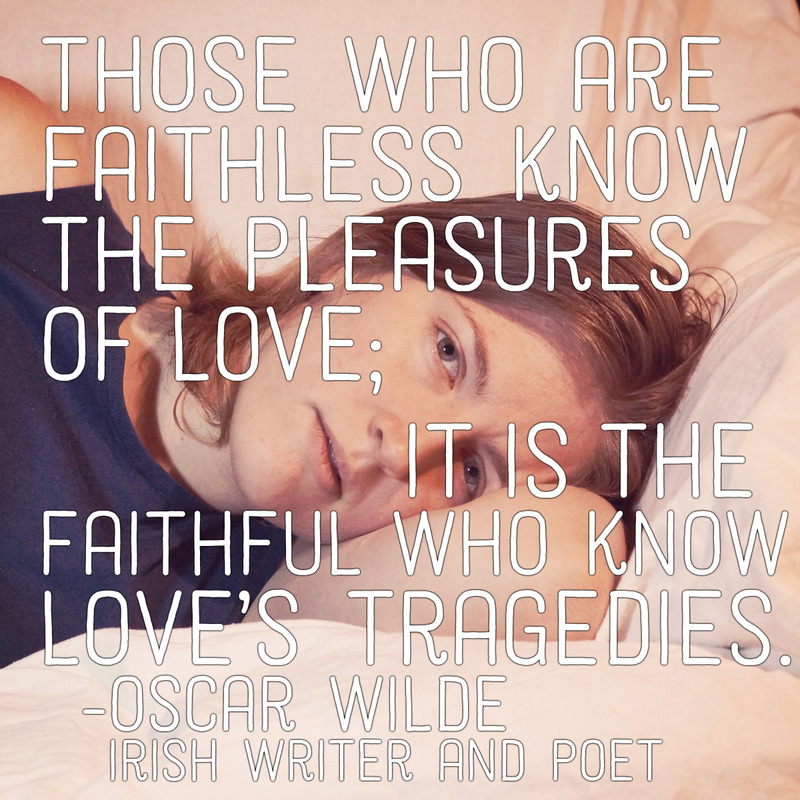 Your Cheating Heart: Will It Tell on You? 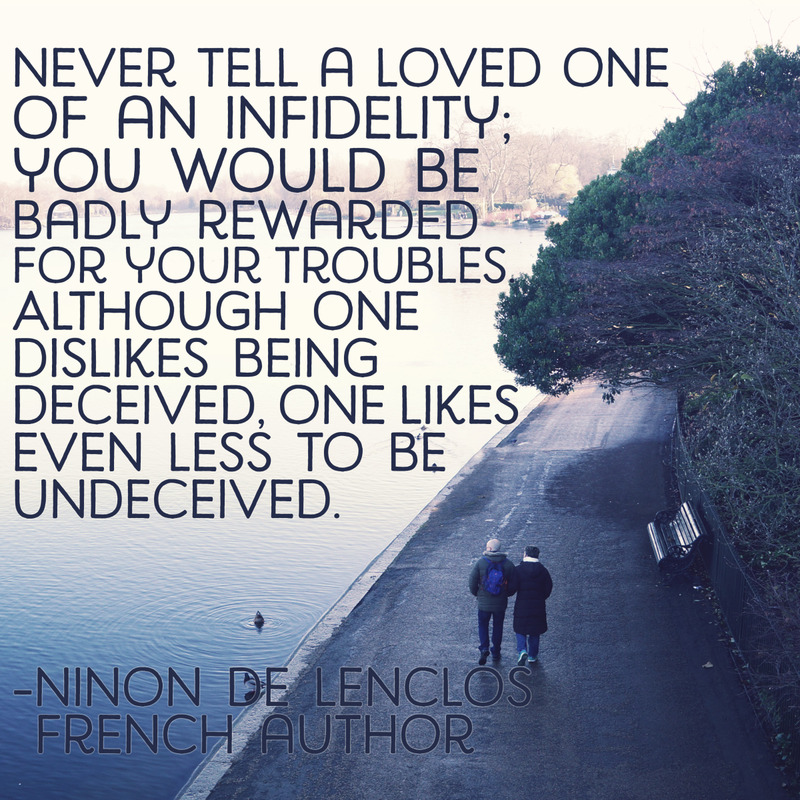 Infidelity can include either physical or emotional cheating, or both. 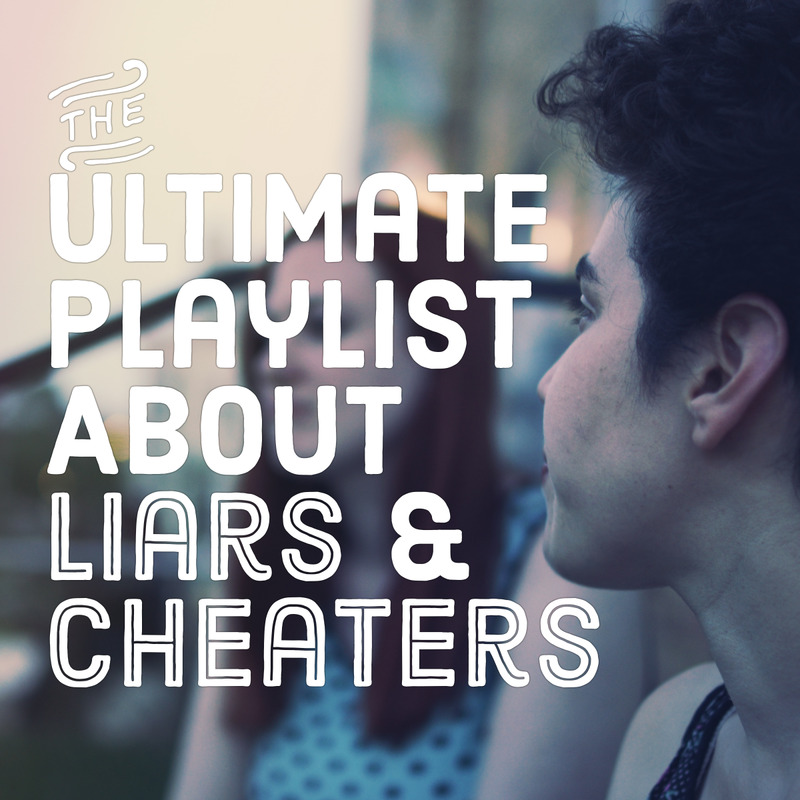 Here is the ultimate playlist about cheaters and liars. Whichever one you've been, here's a list of pop and rock songs that capture the pain, yearning, and heartache of infidelity. Sadly, it's a situation in which everyone winds up a loser. 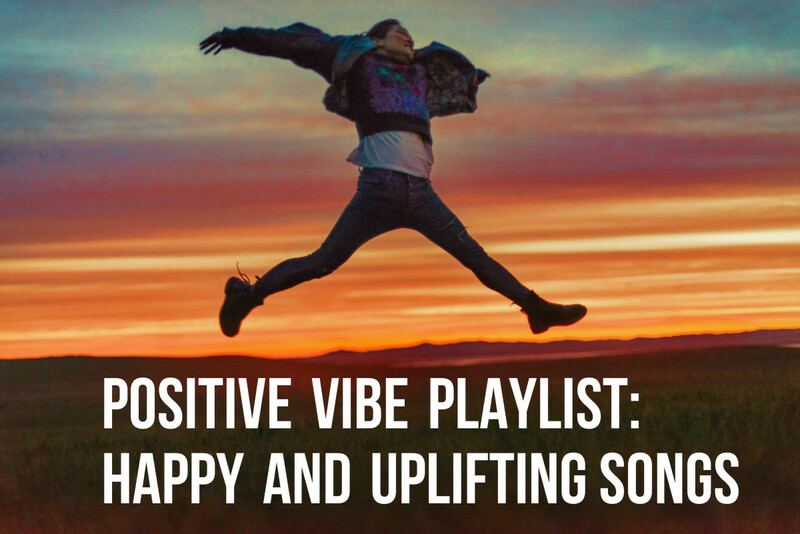 If you dare, use these songs to assemble your own dysfunctional love playlist. Listen to it for companionship while your borrowed honey is with his wife and you're watching Redbox movies, eating pints of Ben & Jerry's ice cream straight out of the container. Or if you are the scorned spouse, assemble your own cheater's soundtrack to let your wayward one know that you know about his or her little "extracurricular activities." In your dating and marital history as an adult which role have you played most often? Originally recorded in 1972 by Billy Paul, it was remade by others, including Michael Bublé. Blu Cantrell's saucy 2001 R&B hit suggests that scorned women should seek revenge on a cheating man by hitting them where it really hurts—in the wallet. In this 1996 R&B and hip hop number, a guy who is already in a relationship is trying to make the moves on Aaliyah. However, she taunts him that if his girl only knew that he was dissin' her, she'd curse him out, turn off her phone, and leave him alone. Aaliyah tells him straight-up, "But it's dumb to put up with you; I won't be no fool." Aww, Aaliyah, leave that cheatin' cheater alone! Girl, you can do better! In this 2011 song, troubled and talented Amy Winehouse was likely memorializing her toxic marriage with Blake Fielder-Civil. Theirs was a rocky union characterized by infidelity, substance abuse, and legal problems. She sings, "I would die before I divorce ya; I'd take a thousand lumps for my love." Although the couple divorced in 2009, her fans believe she certainly did take her lumps for him. You often don't realize the gem you had until it bedazzles someone else's heart. The Scottish band Del Amitri released this song in 1992. It tells the remorseful tale of a cheating man who has lost his girl. She was always the last to know about his cheating, yet now she is gone. This leaves him the last to know about whether she is happy in her new life. Destiny's Child is known for this 2000 Grammy-Award winning hit, which tells of a young woman who calls her lover on the phone. Her woman's intuition kicks in and she suspects him of cheating. He's "acting kind of shady, ain't callin' me baby." As proof that he's being faithful—and that he has no other lover with him at the moment—she tells him to simply say her name, to say, "Baby, I love you." 8. "A Woman Needs Love" by Ray Parker Jr.
Somebody else had been loving Jill. A "back door man" is a man who has an intimate relationship with another man's wife while the husband is away at work. As the husband returns from work through the front door of the home, the cheating partner leaves the home through the back door, hence "back door man." The Doors released this song in 1967. Yeah, you know that I'm no good. Gender: Men cheat more than women—in not only dating relationships but also cohabitation and marital relationships. Testosterone is a powerful hormonal driver (but it's not an excuse). Personality Factors: People who are less faithful generally have lower levels of conscientiousness and agreeableness and are sensation-seeking. Other Background and Experience Factors: Two-timing lovers are more likely to be high school drop outs and to live in the city. They also tend to be less religious, have increased opportunities to meet others, and have a higher number of previous sexual partners. Relationship Dissatisfaction Factors: Although infidelity can occur in happy marriages, let's face it: It's a big sign that something is wrong. Relationship factors include a lack of communication and understanding, emotional dissatisfaction with one's partner, and sexual incompatibility. The imperfect angel in Mariah Carey's 2009 song catches her lover in a silhouette with another lady—in her own bedroom, no less. Too upset to confront them, she decides to exact revenge. Marriah's character bolts out of the door, jumps into her car, and spends the night elsewhere. 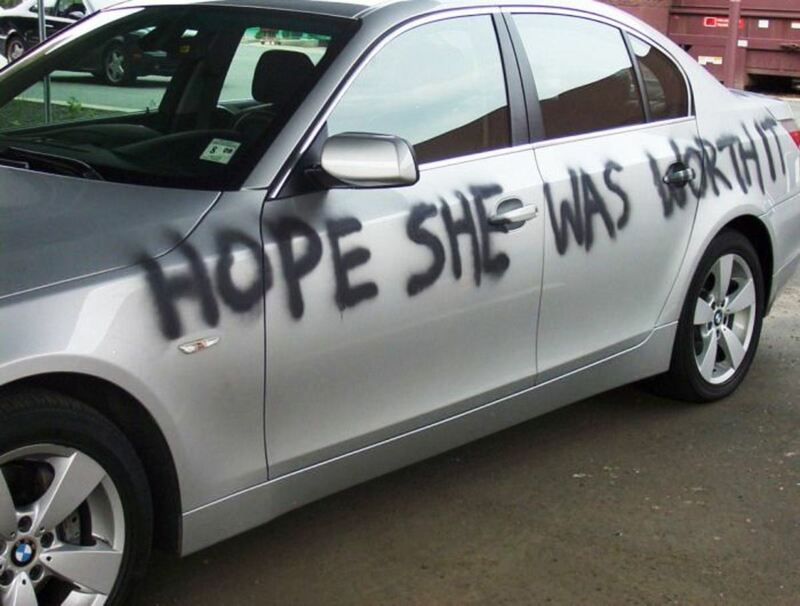 We can only imagine the pain he's in for: "Betcha gon' know how it feels when I get you back." In this jazzy 2008 number by Adele, a woman tells her man not to go all coy, that she understands that she's been cast in the role of the fool. 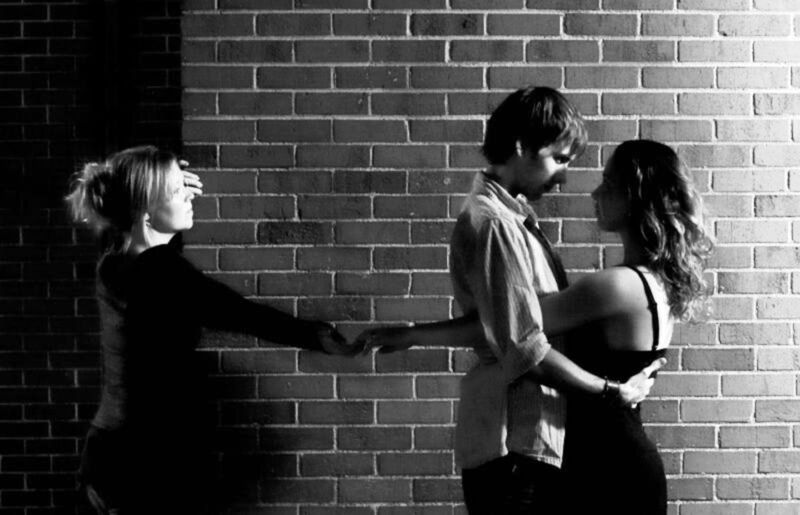 While the other woman gets all the man's attention, she gets stale leftovers—a cold shoulder and words made of knives. Sometimes when you dip your toe in another pond, you can sure stir up trouble. That's exactly the story Usher tells in this 2004 R&B hit in which a man confesses to impregnating the girlfriend he has on the side. Faced with the reality of the consequences, he's finally sorry. Although many assumed the song was autobiographical, Usher said that no, it was instead fiction, inspired by the combined experiences of his friends. This 2002 hit by Justin Timberlake is reportedly about his broken relationship with Britney Spears. It tells the story of a man who moves on after his girlfriend betrayed him by cheating with another man. The girl gets a taste of the heartache she's been dishing out when her new man cheats on her. She seeks sympathy from the man she had once betrayed, but he has only a cold, rejecting heart for her. But I don't wanna go on with you like that. 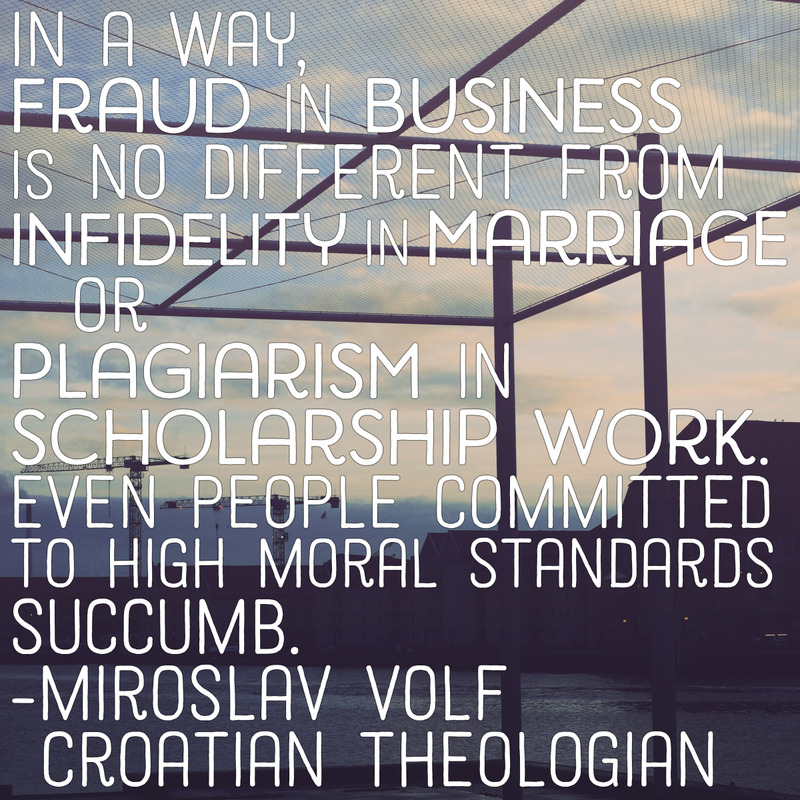 It's hard to believe a lover is not mad about infidelity with multiple partners. Marvin Gaye made this done-me-wrong song famous way back in 1966. It's about a sad man who hears from others that his honey has been stepping out on him. She is about to leave him for another man. In disbelief that he'd hear about the betrayal from others, he's confronting her about the rumors. REO Speedwagon reminds us what unconditional love is all about in this 1980 classic about a woman who betrayed her man with multiple others. Forgiving soul that he is, he tells her, "When I said that I loved you, I meant that I loved you forever." He's either the most forgiving man ever or the biggest sucker. The jury is still out on that one. What's worse than a cheat is the one who brags about it to his friends. In 2009, Kesha sang about a woman who returned from an out-of-town trip only to hear rumors that her man had been a very bad boy. She's had enough of the dirty scoundrel and lets him know it. Released in 1955, Chuck Berry's "Maybellene" was a pioneer rock-and-roll song about a young man whose girlfriend had cheated on him. He did what any jealous young man of the 1950s would do—he gave chase after her Cadillac Coupe de Ville in his Ford with its V8 engine. Of course! 1. Is your honor worth nothing? Check your conscience. 2. 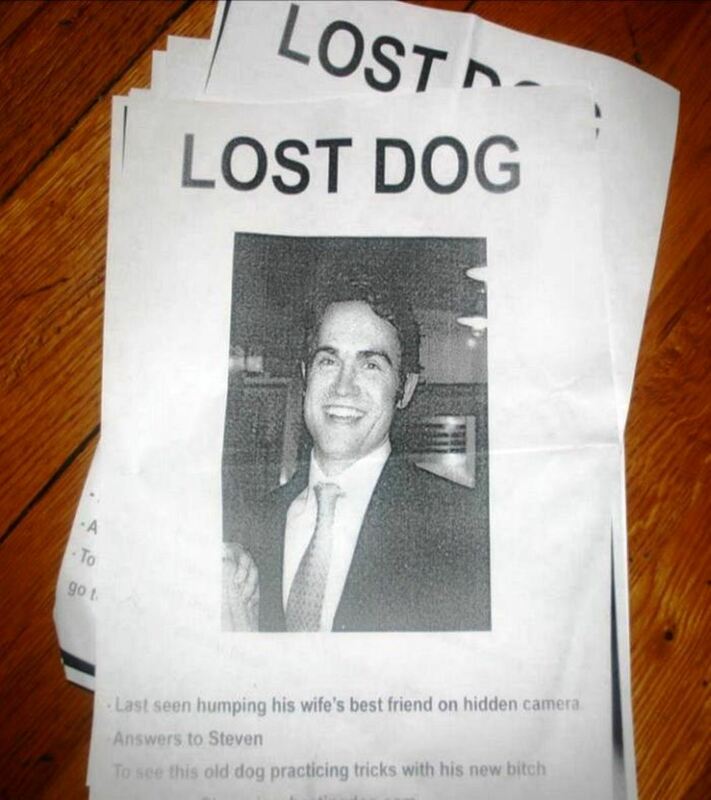 Revenge and public embarrassment can be brutal. 3. Sneaking around is expensive and stressful — between giving gifts to two lovers and making sure you're not detected, it all adds up. 4. You can bring home some nasty diseases of the nether regions. Scratch, scratch. 5. An "oops" pregnancy with someone you don't even love is a seriously stupid mistake. 6. 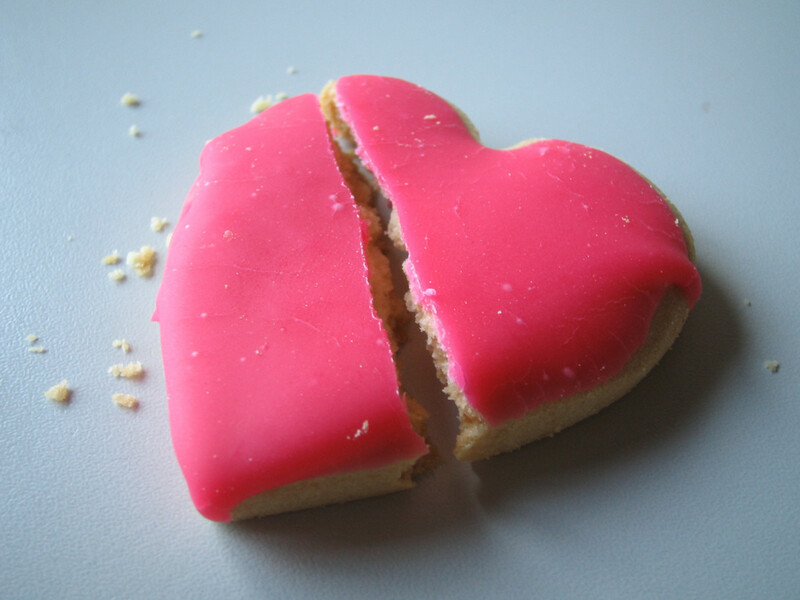 Divorce can devastate finances and families. 7. In the end, everyone ends up losing. Soft Cell's 1981 chart-topper laments a dysfunctional love relationship in which "Once I ran to you, now I'll run from you." Therapy, anyone? This 1985 Eurythmics song is the story of confronting a two-timing lover. 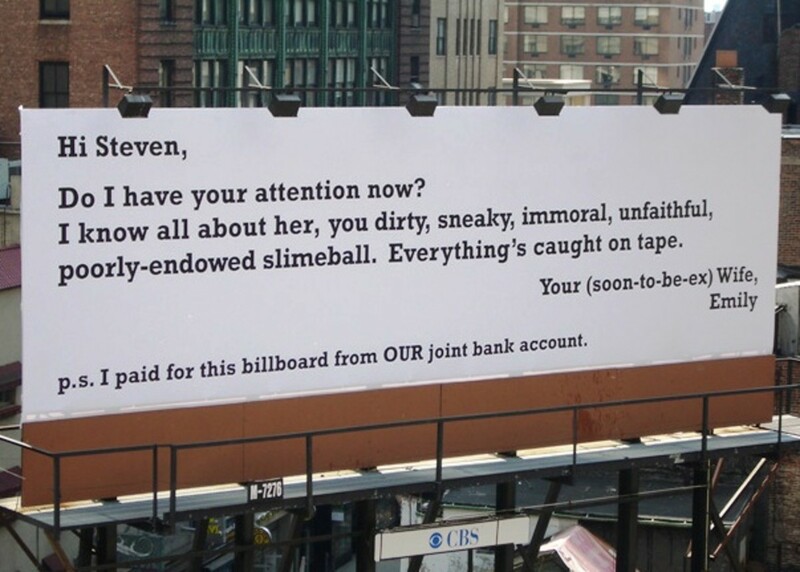 Fed up with infidelity, the woman is leaving her man. 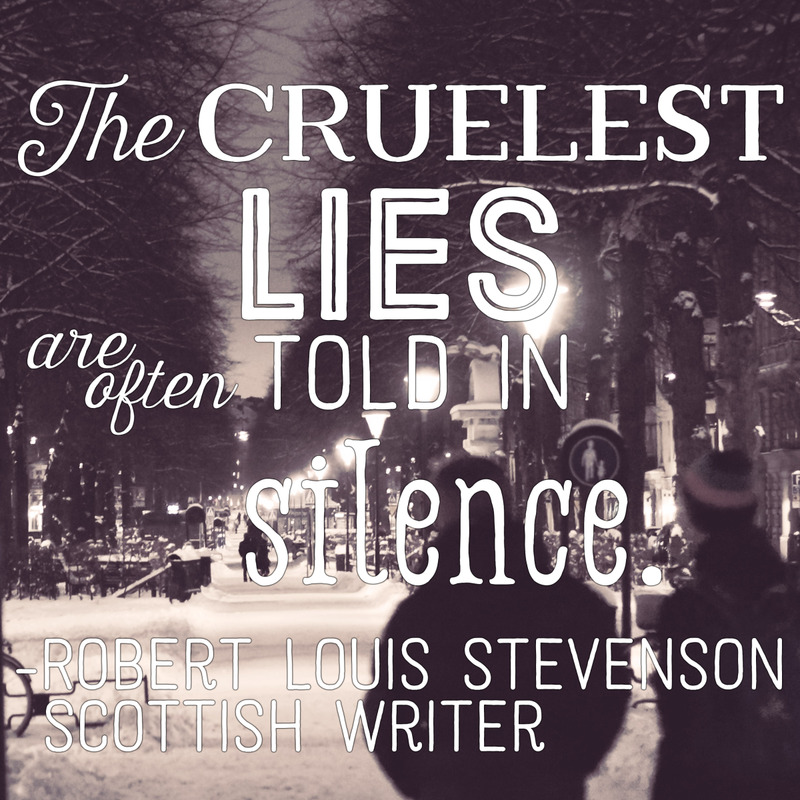 He expresses doubt that she'll do it, and she retorts, "Would I lie to you?" In this 2004 song by The Killers, a jealous boyfriend struggles with paranoid ideas that his girlfriend is out spreading her love around. Owning up to your misgivings is hard, but in this 2005 Black Eyed Peas song, that's what the protagonist does. He apologizes for his immaturity—getting caught up in the limelight of his celebrity and both lying to and cheating on his girl. Just leave your lover, leave him for me. In Donnell Jones's 1999 song, he calls home to say that he's leaving. He says he needs time to explore who he is without her—that is, with this new lady in his life. Okay, so he didn't technically lie or cheat. The girl in this 2008 song by Jazmine Sullivan is making a major mistake. She knows she's not acting sane, but she wants to trade in her steady man. He treats her right and understands her, but she wants to roll around with a bad boy who has a hot body—someone who at times fights with her and mistreats her. The relationship is doomed before it starts, but this crazy lady thinks she's in love. Talk about a dysfunctional relationship! Gloria Estefan sings about one of those damned-if-you-do, damned-if-you-don't relationships that is bound to be trouble. The couple in this 1989 song has trouble living together as well as apart, and she compares their love to a freaking knife. That's never good. But hey, some of us have been there and have the emotional scars to prove it. Kelly Price is the other woman with a conscience—well, sort of—in this 2000 song about a couple who has just spent the night together. Each of them is married to another and the woman starts to put their indiscretion into perspective as she realizes her lover needs to go home to his wife. R. Kelly gets extremely specific that if the man in this 1990 song doesn't stop who he's doin', there will be some major repercussions in his life. 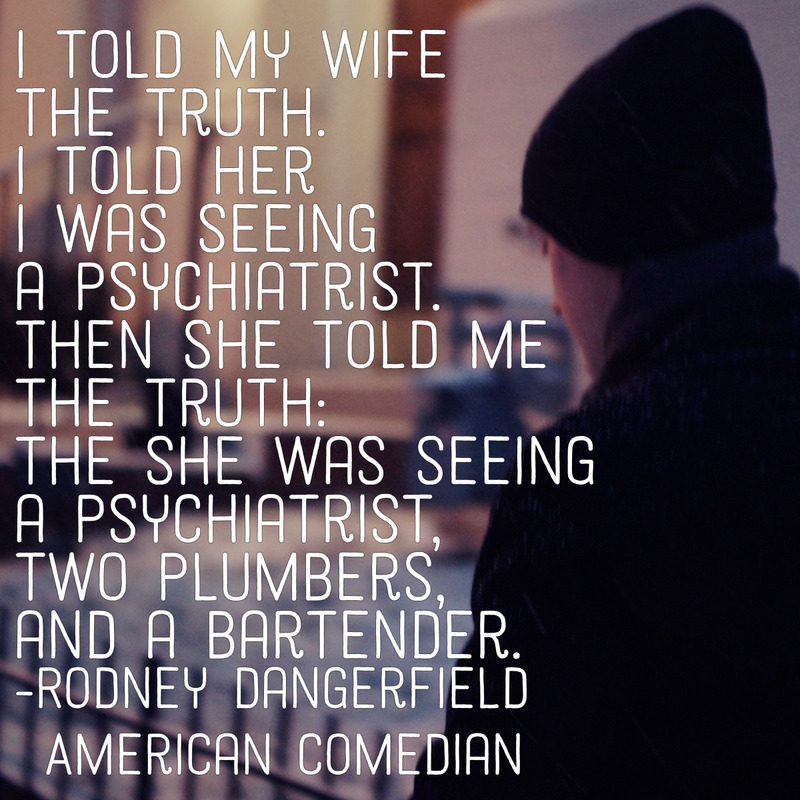 If you suspected your spouse/partner of infidelity, what would you do? 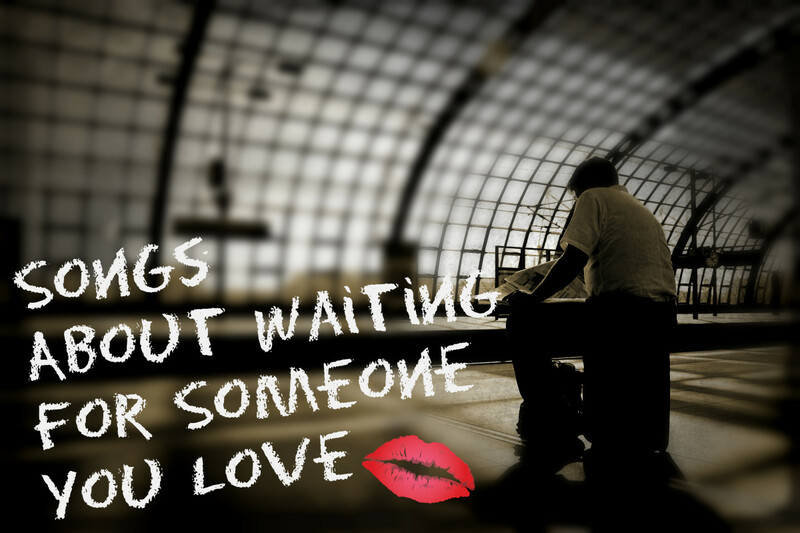 Love: Is It Worth Fighting For? Be the the same girl, the same girl? In this 1994 TLC number, a woman admits that she is lonely and cheats on her man. (He also cheats on her.) They've been through a lot together but don't have the same quality of relationship they used to enjoy. She is left to seek satisfaction "on the down low." Imagine getting caught red-handed and trying to deny the obvious. In this 2000 song by Shaggy, a man asks his friend for advice on how to handle the situation. His friend advises him to tell the girlfriend, "It wasn't me." Marina and the Diamonds sings a sad song from the perspective of a woman whose partner has fallen out of love with her (2012). While she desperately hangs on, he reaches for her only in the dark, unable to admit that he made a mistake in choosing her as a life partner. Why can't I just have it both ways? Life on the road can take a heavy toll on love when there are drugs, whiskey, and cheating. This 2001 song by Kid Rock and Sheryl Crow tells the story of betrayal and yearning from both the woman and man's perspectives. In this 1995 song by Alanis Morissette, she is seriously pissed and wants the man who left her lonely to know what he's done. Mr. Duplicity promised to love her until he died, however he is still alive, kicking it with another woman. She does what any betrayed woman with stalker-like tendencies would do: she shows up at dinner to remind him of the pain he's caused her. With this 1986 song, Atlantic Starr celebrated a secret love affair between two people who have happy home lives with other partners. Although they know their relationship is wrong, they risk everything in their stolen moments of passion. Statistics on Infidelity: Who's Cheating Whom? Married to a man who is unable to father a child, the woman in this 1990 song by Heart picks up a stranger and has a one-night stand with him. She leaves him a note telling him not to seek her out. Years later they meet again and he learns that their night of passion was motivated by her desire for parenthood. Wouldn't a sperm bank have been safer, healthier, and more ethical? Just an idea. In this classic Eagles song (1975), a woman lies to her rich old husband in order to venture to the cheating side of town for the evening. She meets up with a guy she knew in school, also telling him lies about how they will soon be together forever. She is a practiced liar, and her eyes give this away. When it comes to cheaters, it takes one to know one. But in the case of this 1995 Melissa Etheridge song, the would-be other woman is a reformed cheater ("I used to be just like you ... One sugar ain't enough for you.") She threatens to tell the cheater's little secret. Me'shell Ndegeocello sounds like a high school mean girl in this 1993 song: "Boyfriend, boyfriend—yes, I had your boyfriend!" The other woman taunts the woman who was betrayed using some details of the tryst and some ugly name calling. 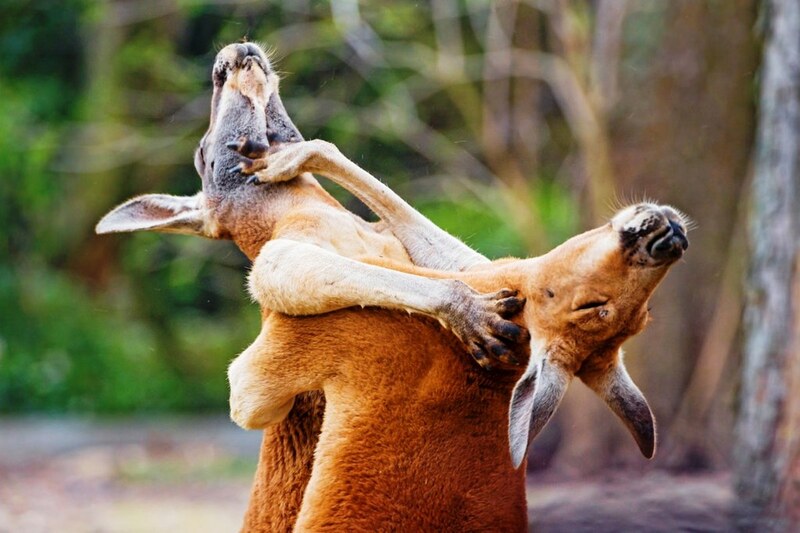 Somebody gon' get slapped! I can see it coming. The guy in this 2007 rock song takes jealousy about infidelity to a whole new level. No one is worth going to jail for, right? In this 1984 song, George Michael sings about the guilt of betrayal as a result of falling for someone who didn't belong to him. In this 2005 song by Indie rock band Hinder, the other woman makes a daring, tearful call to her lover late at night. He answers the call, even though his girlfriend is in the other room and tells her how she makes it hard for him to be faithful. Avril Lavigne's 2007 song features a sassy Miss Thang who isn't afraid to mince words. Who cares if the guy she likes is already taken? She tells him that his girlfriend is all wrong for him. Then, she suggests a solution for his problem. I don’t like your girlfriend! I think you need a new one. Just remember: What goes around, comes around, sweetheart. Know a pop or rock song that should be on this Cheating and Lying list? Leave us a comment in the Comments Section below. Yes, times have changed. There were many songs in the '70s that dropped out of sight. Bob - Wow, I've never heard that one before. I added it to the playlist of songs that wouldn't fly today. Thank you. Have a great week. What about "Judy Mae" by Boomer Castleman (1975)? BAA - Thanks for the suggestions. I added the Joan Armatrading song and the only reason I didn't add the other song was that the playlist is pop and rock songs. I love the humor in it! Waterbabee2001 - Thanks for your song suggestion. A sound for whoever by beautiful south. Audrey - Thanks for stopping by. I enjoy 70s songs as much as other eras. Hearing them takes me make to yesteryear. I find that a truly good song is timeless. I recently saw my favorite country singer from 30 years ago in concert and he still has it. He was phenomenal. I had prepared myself to be disappointed but I was really delighted how good he was after all these years. His voice had survived the years. I'll definitely have to give that article a look. Bob - I added "Dark Lady" to the playlist of Songs that Tell a Story. Thanks for the suggestion! What about "Dark Lady" by Cher? It seems many 70's songs that had some popularity have fallen off the edge of the earth. You too have a great week. Bob, I faintly recall the sitcom but couldn't find the song. That's often the case with long ago songs. Have a great week! As usual a trip down memory lane. I remember a song that I don't know the title of. It was about 1977. The song begins by saying Mary Hartman, Mary Hartman (a 1976-1977 sitcom). Then it's a duet between married people. In between the singing the phone rings, it's the man's lover. He pretends it's his boss telling him he has to come into work. They sing about they will miss each other. When the man leaves the woman frantically dials a phone number. A man answers and she sings; "My husband's finally gone. I can't wait until I'm in your arms again." Lon - Thanks for that song suggestion. I added it at #93. Hi, FlourishAnyway --- Thank you so much. Take care and keep on writing these fabulous hubs. Kenneth, Thanks for your kind comment and suggestion. I couldn't find much about that song. Google seems to be scratching its head. However, I appreciate you. Have a great week. Hi, Flourish Anyway -- today is March 4, 2018, and I have what you might call a Passing Thought. Since you have published this Fantastic hub (which I loved) I was wondering if the song . . .
"Turn My Head," by YES, (released in 2000) would be classified as a Cheating Song or not? You can mull it over. Anyway, loved your work. (like to guess the above laptop "doodle?" I so need a life. . . .
Desi - I'm glad you enjoy that song and the playlist. I love 5 Seconds of Summer. Thanks for taking the time to leave a comment. Have a great day. I think it’s crazy that Mrs.All-American by 5 Seconds Of Summer made it on this list! I love this about so much so it’s cool to see that they are in a list that a lot of people look at! If you have heard of them you should really listen to their music. There is a lot of meaning behind each song. Kenneth - Thank you! Have a great weekend! Dear FlourishAnyway -- you mean that I was the engineer that caused an "Accidental Chuckle?" Wow! Like, far out, man! I dig it. This was written in honor of your Song List. And I have never, that I know of, said how much I Appreciate Your Name . . .FlourishAnyway. Okay then. Think I will. Kenneth - First, what a thoughtful and sincere Thanksgiving message. I wish you and your family the same as we head into the holidays. Second, you managed to absolutely crack me up for putting this kind comment on my cheating and lying playlist. I'm sure you meant to put it on the gratitude playlist, but I needed a good chuckle today, so thank you! Keep flourishing, Kenneth! 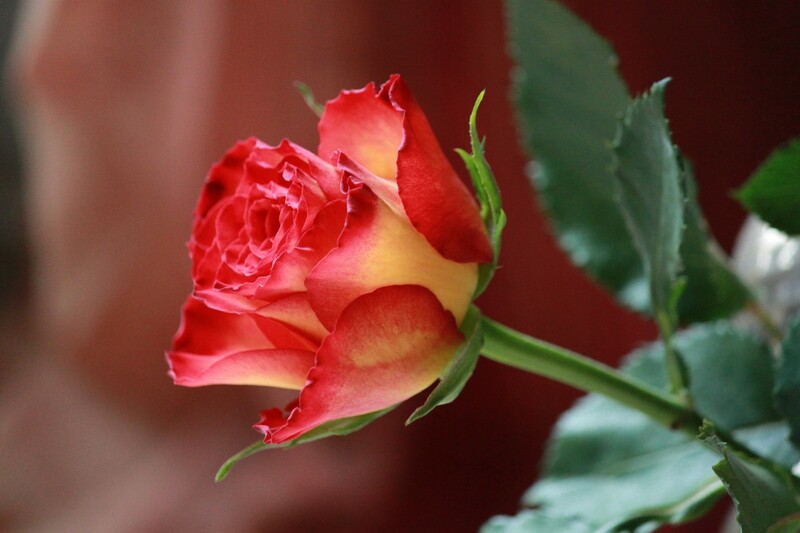 My Dear (Friend/Follower) FlourishAnyway -- I am so glad that I came back to this hub. Enjoyed it all over again. And since, being date above, is so close to Thanksgiving and Christmas, I want to Sincerely Wish to You and Yours, a Safe, Peaceful, and Quiet Thanksgiving and Christmas. Often I am so guilty of just getting swamped with research about the hubs that I do publish that I just get caught in the chaos. For all of the times that I haven't said this to you, I am sorry. Take care and You Are one of My Best Friends. Keep up the fine work. Write me anytime. bee - At least you're honest. No judging here. Be safe out there. hater2me - You are very honest. Thank you for sharing. Looking into his eyes getting harder every day. But also I cant stop myself from doing it. I dont respect or love myself at all anymore. Neshama - So sorry to hear that. I hope you did the right thing for yourself and are healing. Once a cheater always a cheater. Caught mine doing it 4 times. It was all emotional, whether it was in person or online. stevarino - Thanks for the addition! I've added it as #74. The first one that popped into my head was Hank Williams classic "Your Cheat'n Heart", but that's so old school. I came up with a better one - "Human" by The Human League. Norma - Thank you for commenting. Jannr - I hope that your relationship can properly heal and he does not repeat his behavior. My best to you, either way. Be strong. Ladyguitarpicker - Amen. No reason to tolerate disloyal behavior! Thanks for reading. 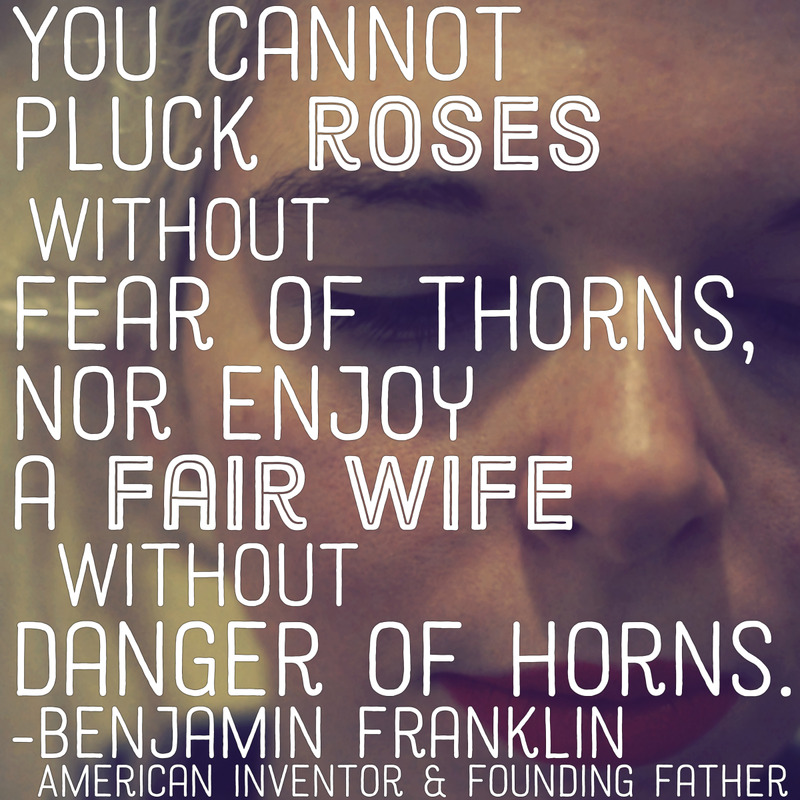 Great Hub, BUT being a lady from another world, get a divorce. You can be single again and have as many partners as necessary. Nell - or just take all his money! Came back for another read, I am afraid I have to go with Rihanna! LOL! Reynold - Country road show! What talent! most of us just sing in the shower or the car so bravo to you! Lying Eyes struck a chord as I used that song and other Eagle songs in my country roads show a looooong time ago. Impressive to do all this work for this HUB. I can hope you have more memories for me in upcoming HUBS. Well done. Audrey - One of my favorites too! A guaranteed ear worm. Have a great weekend and thank you for reading! Agusfanani - It sure is appropriate for the topic, isn't it? Thank you for stopping by. Have a wonderful weekend. I'm thinking of all of my hub friends around the world given recent worldwide events and wishing you safety and peace. Me and Mrs Jones...we got a thing goin' on. Oh yeah. Love this song. What a fun hub this is. Thanks for sharing I'll be singing all day! I find it an admirably exhaustive list of songs about cheating and the your idea to put "Me and Mrs. Jones" by Billy Paul no.1 is right for its easy listening, nice lyrics although its content is about extramarital affair. Rabadi - I would bet musician/songwriters have it at least as bad as everyone else. Thankfully, they have the talent to express their grief this way so that we can all commiserate with them. I appreciate your reading and commenting. Wow very interesting topic, music is huge at conveying the musicians feelings, I guess a lot of great musicians have issues lol. Wonderful! sujaya - Thank you for taking a look! sujaya - Thanks for stopping by! Have a great weekend! Sujaya - Thank you for stopping by and taking the time to comment. Rota - Thank you for stopping by and taking the time to comment. Have a wonderful weekend. Rawspirit - Thanks for stopping by. I love that people vote and tell it like it is. Have a great week. frozenink - Thank you for your kind comment. 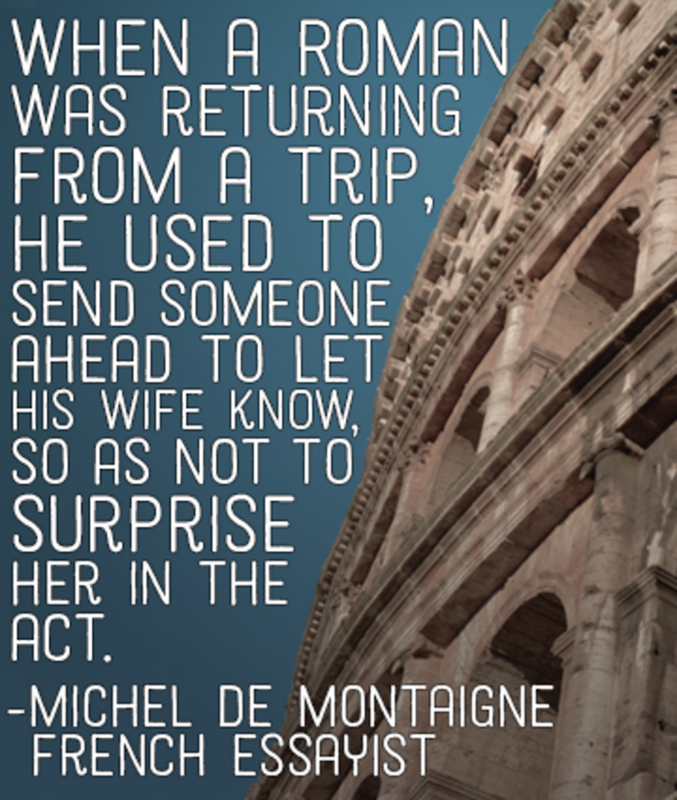 What we do all comes back to us somehow. Catherine - Thanks for reading, Thankfully iv been happily married for 20 years but if he did cheat he'd have one mess on his hands. Melissa - Glad you enjoyed this! Have a great day! Thanks for reading! You always assemble such wonderful playlists. I don't listen to country music so there are not too many that I recognize here. Also I kind of lost touch with pop music around the 90's. Lucky for me, cheating has never been a big issue in my life, but if it was I would listen to these songs until my grief was played out. Wow...this is such a thorough hub. You have covered everything and it is so well researched. I have always loved Me and Mrs. Jones. StellaSee - Thank you for the kind words of praise and encouragement. I'm glad you found something you enjoyed so much! Hi FlourishAnyway, I really enjoyed this hub because it wasn’t just about a song list, I liked how you peppered it with really nice quotes/graphics and cheating statistics. I just listened to “Cold Shoulder” by Adele for the first time, I think I found a new favorite song, thanks for sharing! Subhail and my dog - I was surprised myself how many songs there are about this topic. Thanks for visiting and have a great weekend! A terrific article for music lovers of all genres! Voted up! Growing up on the hair metal rock of the 80s, every other song, especially coming from blues based melodious rock, felt like it was about cheating, lying, and dysfunctional love. That Wham's Careless Whispers brought some good old memories back. Thank you for sharing an awesome hub! SheGetsCreative - I hope they were pleasant memories! Thank you for stopping by! Patricia - I'm sorry that happened to you. Thanks for stopping by, and have a great weekend. O yeah Say My Name is a goodie. I can relate to that one. But when it was done, it was and as it happened it was one of the best things that ever happened to me. Jesse - I suspect you're not alone in that idea. Let's hope that's not the case. If I was to catch my wife cheating I would cash out my bank account and just leave let her worry about the bills and headache and I would just disappear. 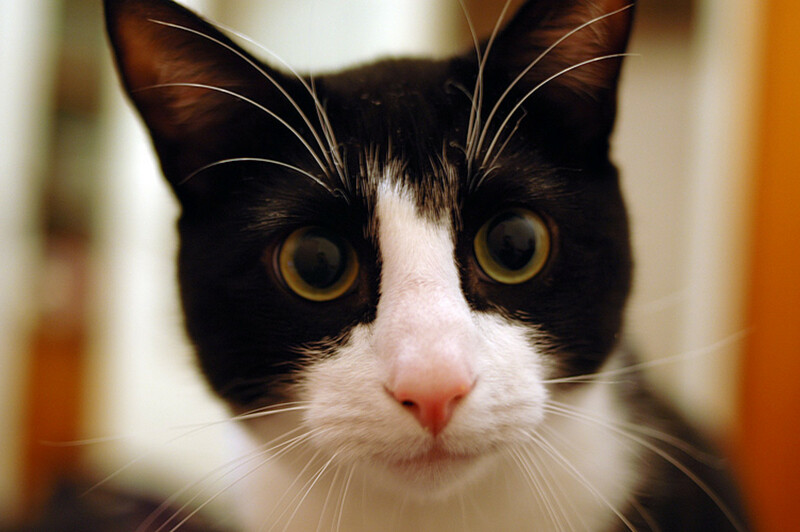 ezzly - Thanks for stopping by and for sharing. Have a great day. Absolutely love these playlists that you do ! 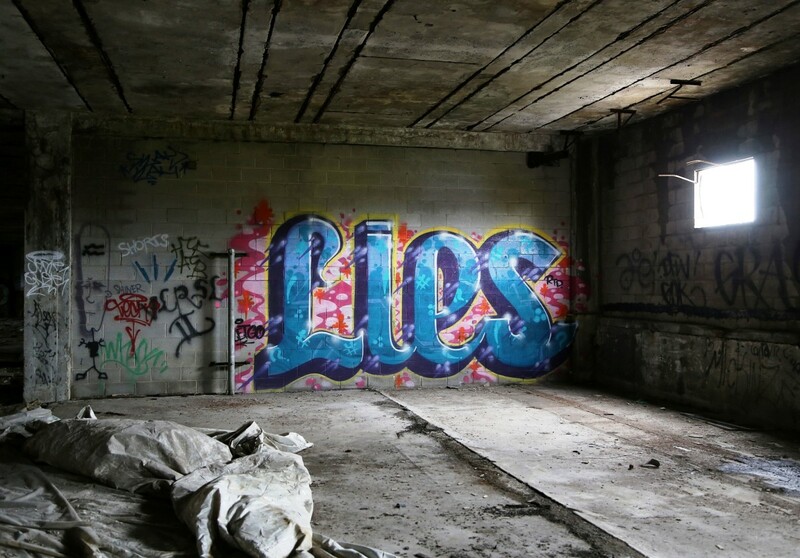 That "lies" graffiti is amazing . Sharing this on twitter ! Kenneth - To you as well. I wish you joy and happiness throughout the season. To You and Yours, have a Very Merry CHRISTmas. keke - I'm sorry about that. Don't let him ruin your life. Take all his money and run. techygran - Thank you for your comment. I hope people make good choices for themselves. Have a great weekend. 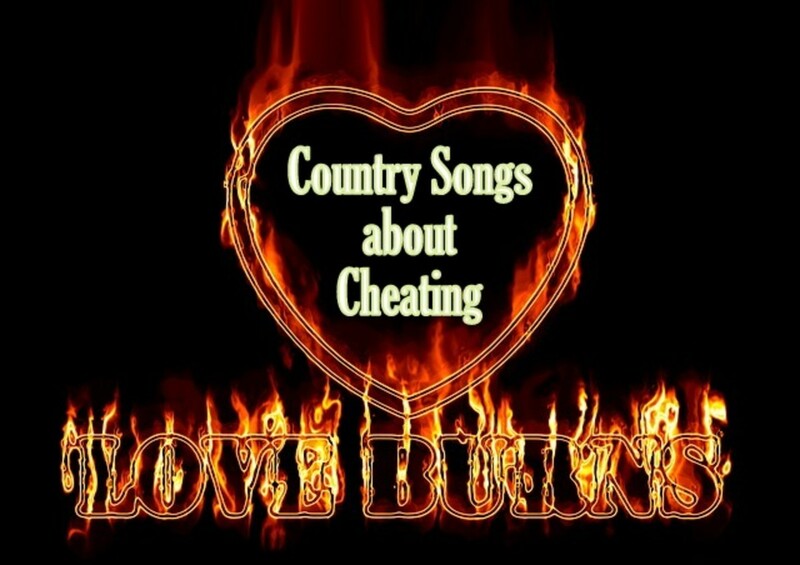 What an interesting hub, Flourishing, although I find it quite disturbing to read about all these songs in one place that kind of glamorize adultery and infidelity. 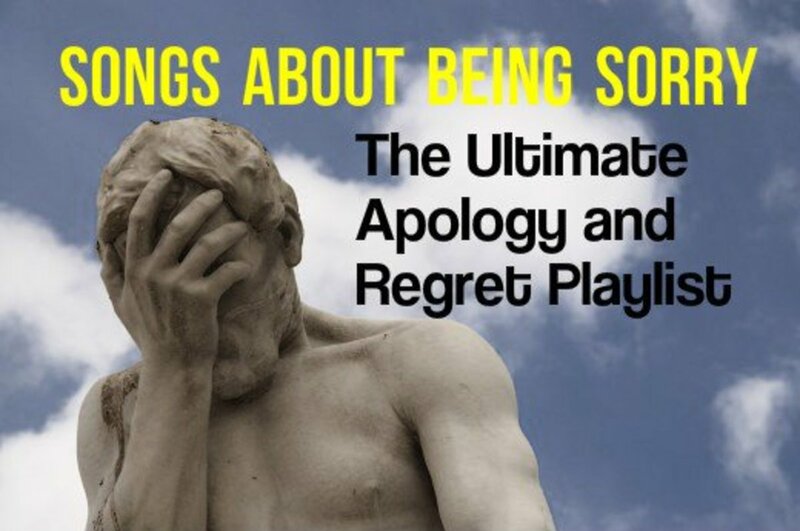 When I worked in an outreach agency for women (and children) who had experienced relationship abuse I recall putting together for presentation to a client group, a list of pop songs (pre-Youtube) that romanticized abusive behaviours like stalking, womanizing, and "murders of passion". grand old lady - Bruno Mars is one of my favorites, too! Thanks for stopping by! So many songs about infidelity. Love the one by Bruno Mars. In his case, it would be better to be clueless, hahahaha. Great hub. Garage-Info - A momentary choice on one person's part can certainly destroy trust and live with the other person for many years. Just remember that it was about him, not you. Thanks for stopping by. You know I've been cheated before and I felt so bad about it. I can relate to some of their songs. But I haven't cheated on someone yet, so I hope that wouldn't happen. I love "Keep on Loving You," I was the forgiving one, you know because I loved him so much. "I've been in love with the same woman for forty-one years. If my wife finds out, she'll kill me." hahaha my fave quote. travmaj - That's a good one! There are so many. Once you start thinking about it, you wonder how many people have built solid music careers off cheating lyrics and how cheating has ruined other solid careers (e.g., certain politicians). Thanks for reading and commenting! it is just so sickening, in my view he's totally unconvincing. I think Mary should run fast and not look back...thanks for this, it was fun. Jackie - Thanks for visiting. That is one of my very favorites too! Have a great week. Anna - Thanks for stopping by and for commenting. It is a slow recovery from this pneumonia. I hope you are enjoying your Sunday! Well done on a very well crafted hub. It was really entertaining and interesting to read, and the volume of research you must have undertaken shows clearly in the high quality your writing shows. fpherj48 - Thanks for a great comment. We may as well keep on singing about it. And you're right: it doesn't seem to be stopping soon. F A.......A superbly written, well represented hub listing songs about the oldest sin in all of the History of man. Since the very beginning of time till the end.....there's a "Whole Lotta Cheatin Goin On!!" This one activity causes more chaos and commotion than a violent tsunami. Anger, sadness, murder, suicide, divorce, broken families, financial ruin, psychological damage, distrust, ruined careers, shame, embarrassment, STD's, abortion, accidental pregnancies, .....I could on for at least an hour, but why bother? All your readers can make their own long lists! 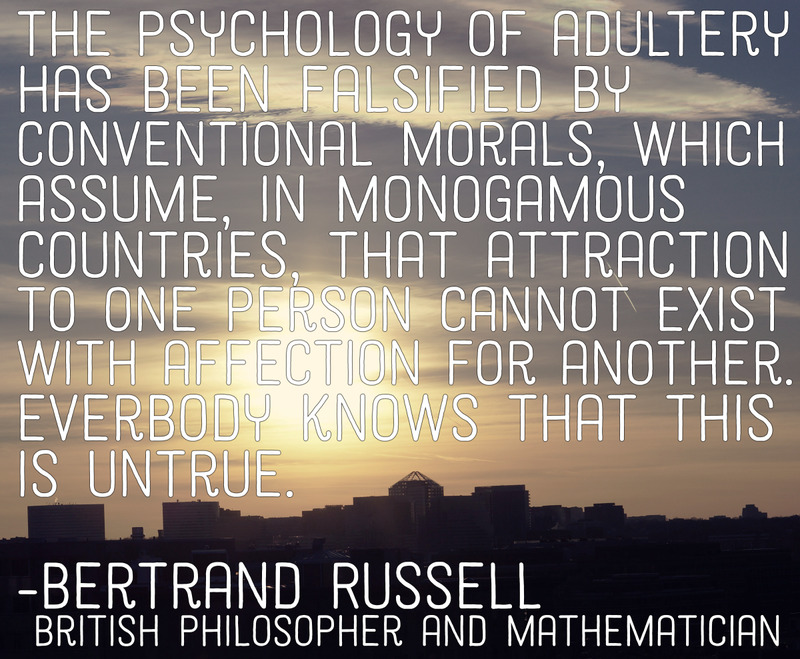 Yet, humans not only continue to frolic, but infidelity steadily increases and women are catching up with men in this game of pain at an incredible rate of speed. Hmmmmm....perhaps we should all say, "Duh," in unison? If a few thousands of years and several oceans of tears have failed to educate Homo Sapiens and bring us to the realization that "infidelity" is just as much a part of life as breathing...........I dare say we will NEVER get it. So.....You have a fabulous idea!! We may as well just keep on singing about it! Up +++......This hub is a winner! Kenneth - You're not being callous at all. I'm just slow to respond! Sorry! I don't know who catches pneumonia in the middle of summer but I managed. I appreciated that you cared enough to follow up. Hugs to you. I am so sorry. I offer you my deepest apologies for bursting into this hub and writing such callus words. I did not know you were sick and with pneumonia. That is so insensitive of me. Forgive me. I will pray that you get a healing and be better soon. If I can help, just holler, well, inbox me. Thanks for the graphic info. incomeguru and Sunshine 625 - Thanks for reading. A country edition is coming soon. Kenneth - Thank you so much for you comment and enthusiastic support. I am a bit slow in responding today, as I have been sick with pneumonia. I appreciate your reading. I've been working on a country version, although unfortunately given your tastes it will have some Kenny Rogers. But there will be plenty of others to balance him out! And oh yeah ... fotor.com is one place where you can take take any photo and do artsy stuff to it for free. I've been singing along with most of these songs for years and I was too occupied enjoying the tunes to think about the meaning behind the words. Wow! This hub was an eye opener for me. 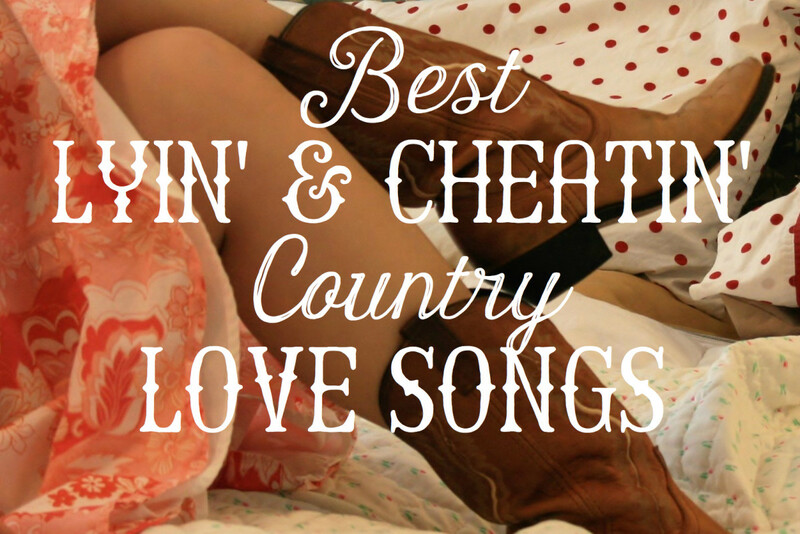 By the way, country music has a few excellent cheating songs too...Carrie Underwood's "Before He Cheats" is one of my favorite. I commented on this hub not long ago today and I do not see my comment, but in retrospect, I LOVE this hub. And I agree with every choice you published. I particularly despise the songs by late Conway Twitty, Kenny Rogers and T.G. Shepperd, where THEY are always the HERO in their own songs and never lose. Plus I wondered how you made that graphic at the top of this hub.